We recommend good quality Double Cylinder (keyed both sides) or Single (keyed outside) deadbolts for wooden front and back doors. This deadbolt in the picture (LHS) is installed above the lever door handle. The finish on these products is Satin Chrome (sc). 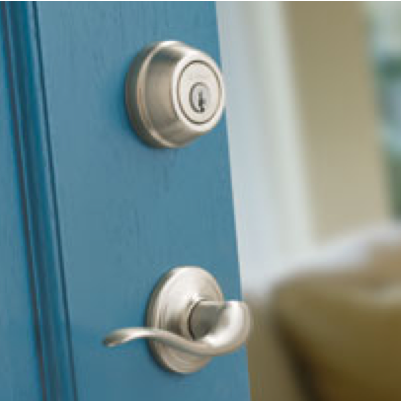 Most lock hardware is available in this finish as well as a polished brass (pb) or antique bronze (ab) finish. 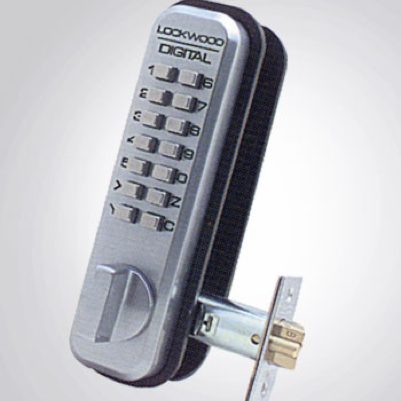 We also recommend the convenience of a Digital Combination Lock pictured (RHS). The convenience of keyless entry cannot be underestimated. Locks can also be reset to your personal code easily or “recoded” to change the combination, for security purposes. Along with the Lockwood Digital, the Borg, Kaba and Yale Models are also very popular for the domestic market. The enhanced security, elegance and style of the Endeavour Sliding Door Lock is why it is one of the most preferred locks of its type on the market. The Endeavour Sliding Door Lock is designed for the security conscious, with a safer, reliable and more robust locking mechanism and handle. 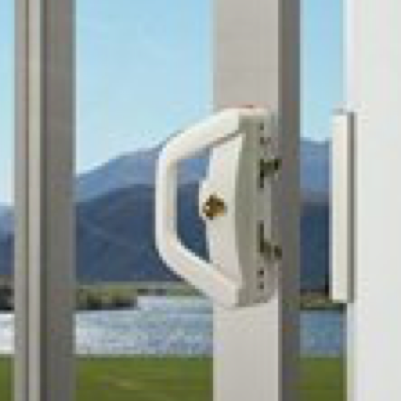 The handle is user friendly and offers increased resistance to forced entry. These locks come in both double and single keyed options. 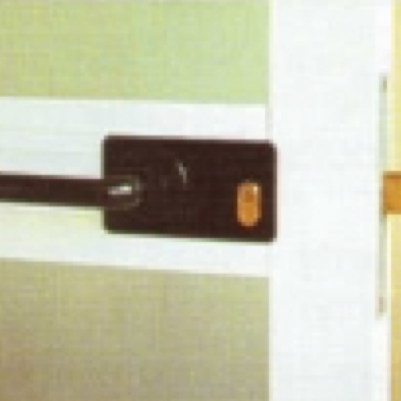 Perfect for providing security on sliding doors. Excellent option for rental properties because of the strength and design, this lock requires minimal servicing. Aluminium doors are also vulnerable to forced entry. Talk to us about various options to secure your aluminium doors for your commercial or residential property. Garage Door Lock Missing its Keys? Need a New Remote Opener? Problem with your Roller or Tilta garage door lock? 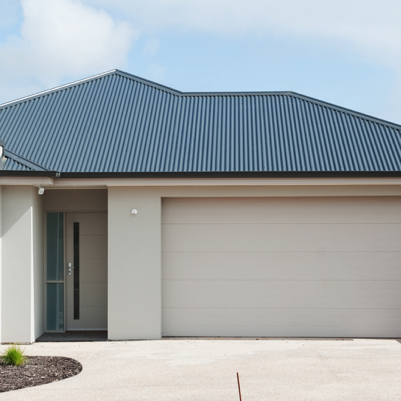 Or have you have lost the keys for your side garage door? We offer a complete garage door lock service. We can either make keys to the existing lock or provide a replacement lock if that is not possible. We also supply remote garage door openers and programme them for you. Call us to find out more about our garage door lock services.